Eddie Rabbitt And Wife performs "Both to Each Other (Friends and Lovers)"
"Friends and Lovers" is a song written by Jay Gruska and Paul Gordon.The song was first recorded as a duet by Gloria Loring and Carl Anderson in 1985 for the soap opera Days of Our Lives, produced by Doug Lenier. That recording remained unreleased until the summer of 1986, when it was released shortly after a version by Juice Newton and Eddie Rabbitt hit country radio. 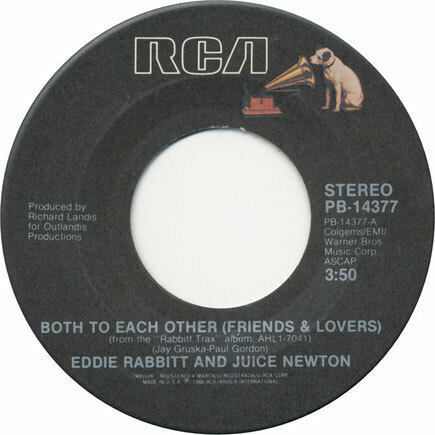 The country version featured the altered title of "Both to Each Other (Friends and Lovers)". 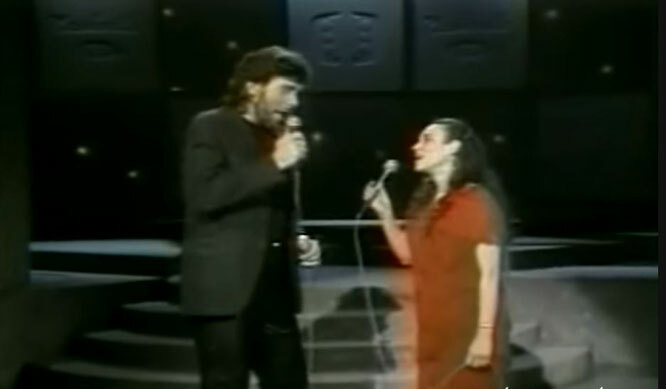 In 1986, country-pop singers Juice Newton and Eddie Rabbitt released a version of "Friends and Lovers", altering the title to emphasize the final line of the chorus. Technically, Newton and Rabbitt's recording is a pre-release cover version, since it was commercially available before the pop version was released. Therefore, even though Loring and Anderson recorded the song first, Newton and Rabbitt are credited with the original commercial version. Their duet was called "Both to Each Other (Friends and Lovers)", and although its arrangement differed from Loring and Anderson's recording, it is lyrically the same song. Both Newton ("Queen of Hearts", "Love's Been A Little Bit Hard On Me") and Rabbitt ("I Love a Rainy Night", "Every Which Way but Loose") had already enjoyed considerable success on both the pop and country music charts, and their version of the duet went to No. 1 on the Billboard country chart. This was Newton's final No. 1 though her last solo No. 1 had come eight months earlier with "Hurt".